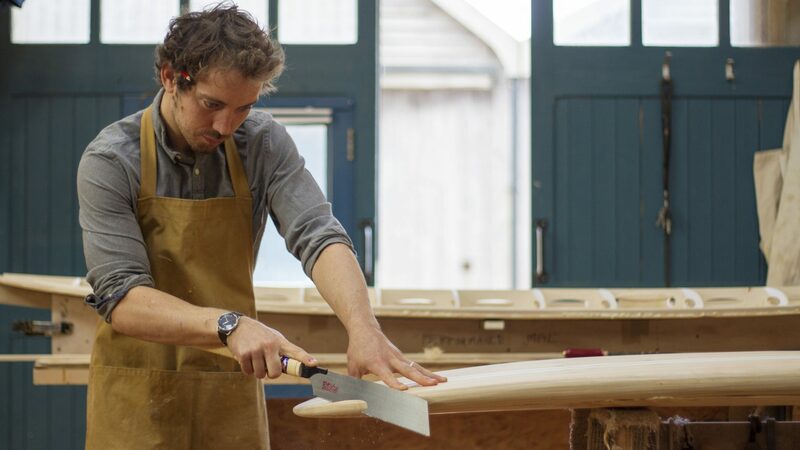 Otter is an SW England based wooden surf craft maker outfit, specializing in gorgeous surfboards, hand planes, belly boards, and paddleboards. 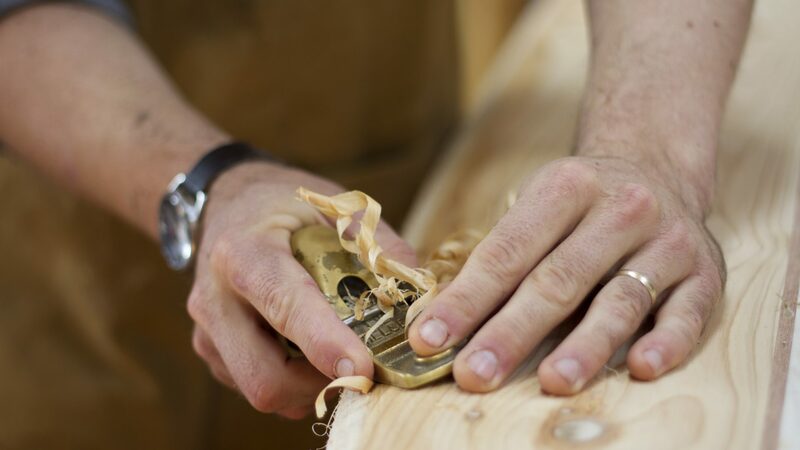 Founded by maker, James Otter, the company offers workshops where they welcome customers to come and make, from scratch their chosen vessel and leave with a smile on face and product in hand. Please give an overview of Otter. How did the idea come about? Where the operation is based and how long the company has been running for. The idea for Otter came from James’ passion for making things out of wood (he was studying a degree in designing and making at the time) and his passion for surfing. 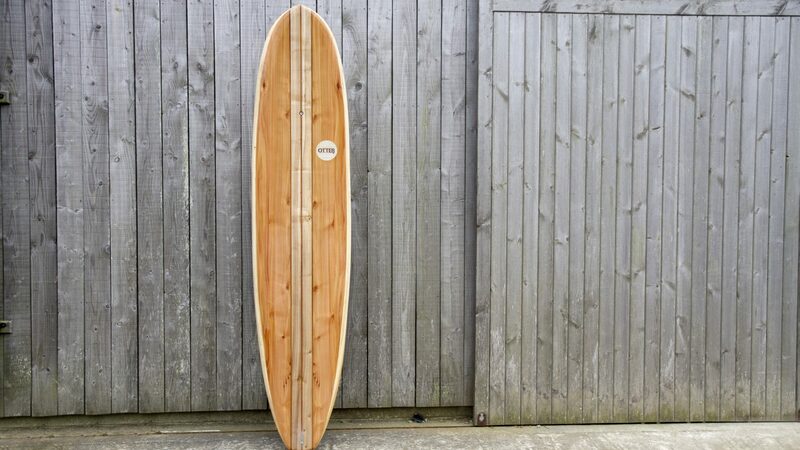 He was fed up with how his typical surfboards would only last a couple of years and felt like he could make something stronger and longer lasting from wood. The journey for James began in 2008 and in 2010 he started the company, which is now based in a workshop in Porthtowan, Cornwall, UK. We don’t really have a management team, we just have our team. 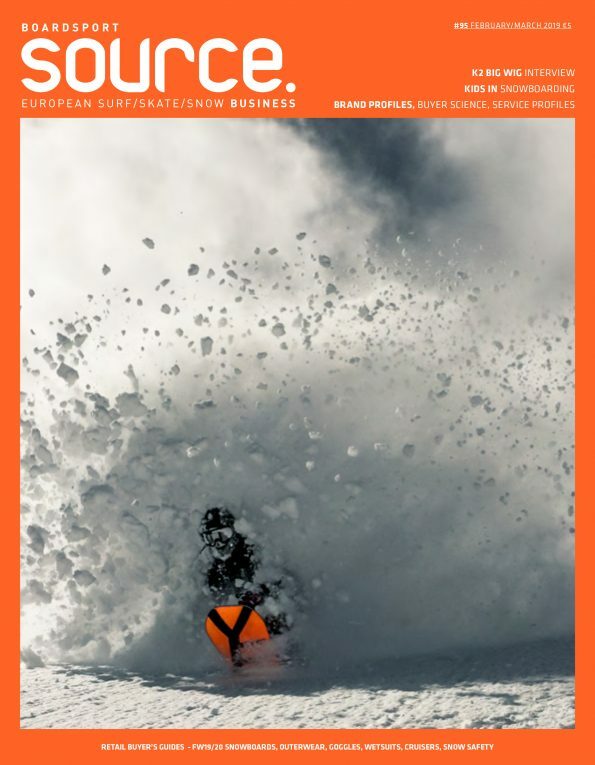 Everyone is free to contribute and help pull the company in the way they see fit, but we all have the same fundamental beliefs – to share the joy of making and playing in the ocean and to preserve these delights for future generations. We’ve got James at the helm, Chris who keeps things on track in the workshop, Ally who helps out in the workshop, Trudy (covering Liz’s maternity) guiding the office upstairs and we have Mat who captures it all and tells our story via images and social media. Which channels are you currently selling in and how do you see this changing in the coming years? We sell mostly direct to our customers. We are toying with branching out into some specialized retail stores, but we’ll see how that goes. We love connecting to our customers and sharing the joy of what we do so much, that we’d rather retain that as much as we can. The biggest part of our business is running our workshop courses and whilst we can take these on the road, the connection is still made to our customer in a very personal way. That’s just how we like it! How is a bespoke, custom-made brand such as Otter working in a market full of replica products? Always staying authentic and always striving to better ourselves. Both of those we are in control of, the market and replica products we can’t control. We trust that our customers can see that and hope that they will continue to want to support us. Tell our audience more about your workshops you provide. We provide a few different workshop experiences. You can spend a day with us to make a bellyboard or handplane, you can spend five days with us to make your own surfboard and you can spend seven days with us to make your own paddleboard. We’ve been running our surfboard workshops the longest (about seven years) and see these as the cornerstone of what we do. It’s the reason we all get up and go to work. We get to spend five days with our customers, teaching them how to make a surfboard and building their confidence and excitement and welcoming them into our world. They leave as good friends and they have a new surfboard to enjoy the ocean with, that they made themselves. Can you talk to us about materials, where they’re sourced etc. The majority of the wood we use is all grown in the South West of the UK. Our cedar is from Wiltshire and our poplar is from Somerset. We repurpose some other timbers as and when we get our hands on them and we use poplar plywood that is grown and produced in Spain. When you design and make anything, you become incredibly aware of where the materials you’re using come from and for us, we want to preserve and support healthy, diverse and sustainable woodlands. That is why we work closely with foresters and saw mills to ensure we know exactly where our timber comes from and how the woodlands are being managed. Seeing this gives you a real sense of responsibility. We know we have to make something worth making and that lasts as long as possible. We then use marine grade glues throughout the construction of the boards to ensure their longevity and strength and we finish them with a bio epoxy and fiberglass. These are the ‘dirtier’ bits of our process, but at the moment we feel it is the best way to ensure the quality and longevity of our boards and allows us to stay at the forefront of developing technologies within this industry so we can use the products that create the least amount of environmental damage as possible.